In cooperation with the History Museum, we organized a tactile exhibition for the blind and visually impaired entitled “Please, Touch!”. Molds and reduced replicas of archaeological collections from local cultural and historical heritage, as well as from many museums of the world (Greece, Rome, Egypt, Middle East and Far East, pre-Columbian America and the Italian Renaissance) were presented. All the replicas were prepared in the art/sculpture workshop of New Acropolis. 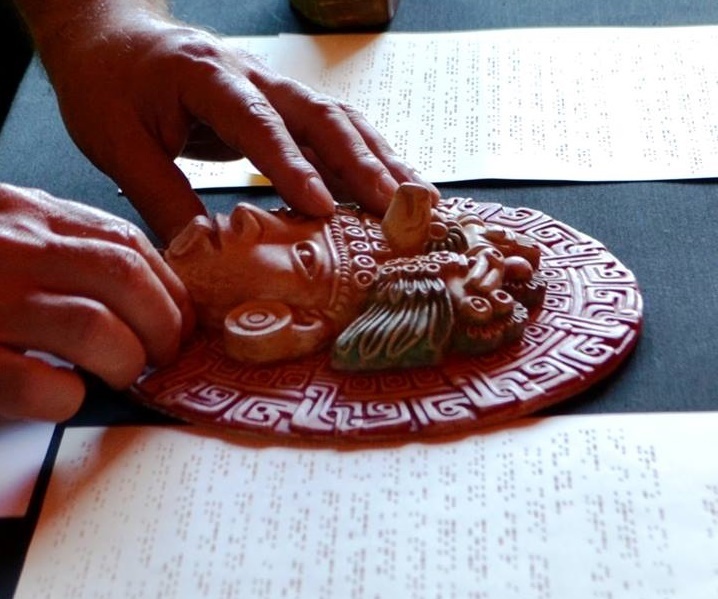 The exhibition was specially adapted for blind and visually impaired people, so that they could experience three-dimensional objects through touch and imagination, and enjoy the beauty and richness of human expression and cultural diversity. Throughout the exhibition, inscriptions contained explanations in Braille and in large characters. Both the volunteers of New Acropolis and the employees of the Museum provided necessary assistance as well as detailed explanations of the collections.